“Yung plaka ng presidente, itapon mo ‘yan ,” Duterte told the press Thursday night at the Royal Mandaya Hotel in Davao City. “Masyadong corny ‘yan, number 1, number 1 na plaka,” Duterte explained. Executive Order No.400 state that,the number 1 license plate is assigned only to the presidential vehicle. Duterte also added that even his Cabinet members will not be using their protocol license plates. “Tsaka yang cabinet members, no more also,” Duterte added. The Members of the Cabinet are assigned the number 6 plate number for their respective vehicles. However, the presumptive president has no problems if the congressmen and the senators use their protocol license plates. The incoming president explained that one of the reason why he does not want to use the protocol license plates for the presidential vehicle and the vehicles of his cabinet members is to show humility and simplicity. 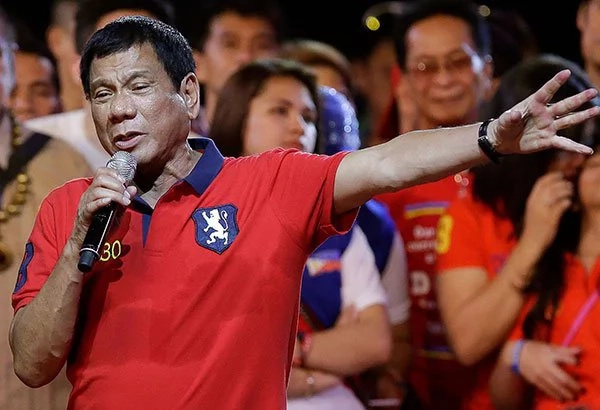 According to analysts, one of the biggest reasons why Duterte won by a huge margin in the recent presidential race is because of his seemingly simple life as the Davao City Mayor. Aside from not wanting to use the presidential license plate, Duterte also has problems with the idea of relocating to Manila and residing in Malacañang because he wants to keep the costs low for the government. Duterte said in an earlier interview that he prefers to stay in Davao City even after taking oath as the new President of the Philippines. “Wala na akong balak bumalik sa Manila. Dalhin na lang nila dito (Davao City) ang papirmahan, okay naman siguro dito,” Duterte told the media.